In 2008, there were several forms of Power over Ethernet (PoE) technology being put into practice, including the use of IP security, wireless access points (WAP), VoIP and surveillance cameras. Known as an established form of technology, PoE has since expanded and now has astonishing capabilities of extending Ethernet signaling. This extended signaling can deliver power via a low-voltage direct current to devices on a network. Businesses that choose to set up a PoE-enabled network are not constrained by a limited access to AC power outlets, which is paramount to the flow of business operations. After all, powering network devices is essential to inventory, distribution, sales, marketing and many other core activities. Since there is no need for multiple AC power outlets, PoE-enabled networks can be installed almost anywhere. A lot of flexibility is gained with this type of network, including the ability to connect VoIP phones, IP cameras, WAPs, Bluetooth devices and more. With the ability to have these networks installed almost anywhere, businesses can place their network devices in locations where they are most efficient, leading to optimal application performance. Some of the most common locations of PoE-enabled devices include on ceilings, high on the walls, on towers and more. With a PoE infrastructure, businesses will enjoy centralized power management for all mission-critical network devices. 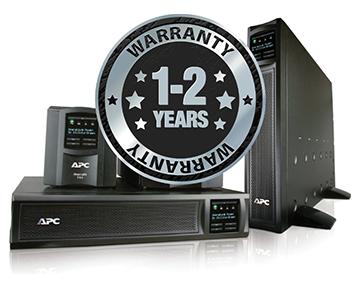 Without PoE, devices will need to be powered using an uninterruptible power supply (UPS) with a battery backup. With network equipment likely being located in several buildings or office locations, this often leads to the need for multiple UPS systems. Managing these systems can become extremely costly. However, with PoE, you can manage them from a centralized management system. Even within power outages, all of the network devices can receive backup power. More importantly, the centralized UPS system will enable both remote shutdown and remote reset features. Businesses can easily use a PoE-enabled LAN switch — either by SNMP or through a web browser — and gain direct, remote access to their networking devices. This simplifies locking, resetting and erasing data from the devices, which saves both time and money because a technician won’t need to be dispatched. Although the capabilities of PoE have greatly increased over the past few years, migration to PoE will likely come with both a short- and long-term rise in overhead expenses. In fact, the power needed to run PoE for various applications can more than double the amount of power used on a monthly basis. Therefore, you need to make sure your UPS can handle it. With more reliance on PoE, you’ll need to have more reliance on your UPS. Call CoastTec to ensure you have what you need at 410-521-1000.